BRB International is an international additives, chemicals and silicones producer dedicated to servicing their customers with a wide range of tailor-made solutions. BRB has 14 locations worldwide from which they can supply their markets and meet their customers’ needs. BRB’s strength lies in the commitment of its 200+ employees, putting the customer first and being flexible in both service and product solutions. Their focus on R&D, technical field support, customized products and problem solving mentality gives BRB a unique position in the market. BRB is able to service smaller and middle size customers as well as larger multinationals. Viscotech® means state-of-the-art viscosity modifiers, for the future demands of lubricants. Viscotech® is a synonym for Innovation with advanced polymer technologies, compatible with a wide range of base oils. With unrivalled stability, synthetic compatibility and cold weather performance Viscotech® polymers are the choice to formulate quality lubricants and provide solutions to the challenges faced by our customers, today and in the future. Viscotech® is produced in the EU and Singapore and globally available in solid and liquid form. 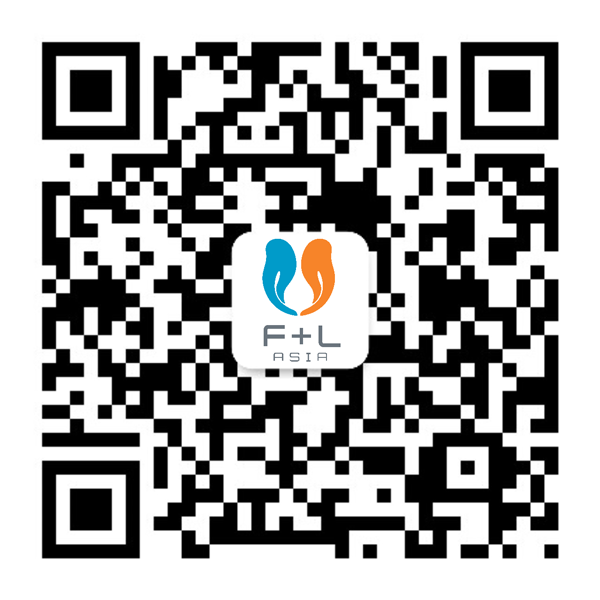 Welcome to Singapore for F+L Week 2019! This year we will be discussing the advanced and future technologies that will transform our industry starting in 2020 and for the next 25 years. Chevron Oronite will be sharing information relating to China VI and BS VI and how additive and lubricating oil technologies and formulations are being developed to meet these specifications. A new range of Oronite automotive additive packages are already in place that meets API and many OEM specifications to support your needs in both the passenger car as well as heavy duty vehicle segments. Another important development is in the marine sector where IMO’s new limit on Sulphur in fuel oil will be reduced to 0.50% m/m with effect January 2020. Various options are available to shipowners to adapt to the new regulations and Oronite additives for Marine and Power generation System (MAPS) offer a choice of solutions for Marine Cylinder Lubricants and Trunk Piston Engine Oils. While always looking ahead to provide additive solutions for advanced and future technologies, we take a pause to look back and congratulate F&L Asia on its 25th anniversary. We wish the team all the best and continued success for many more years to come. VANDERBILT CHEMICALS, LLC is a wholly owned subsidiary of R.T. Vanderbilt Holding Co., Inc. and we are celebrating over 100 years as a supplier and partner to our customers around the globe. Going into the next 100 years, we will continue to build relationships to achieve sustainable and ethical growth through a culture of quality and innovation. We market a wide range of chemical products, which improve or enhance the performance characteristics of finished lubricating oils and greases. Oxidation inhibitors, extreme pressure additives, antiwear agents, friction reducers, metal deactivators and rust inhibitors are examples of the types of additives we supply. These products are used in automotive, gasoline and diesel engine oils, automatic transmission fluids, turbine oils, gear oils and many other industrial oil and grease applications. Our products’ trade names are VANLUBE® Lubricant Additive, CUVAN® Metal Deactivator, VANCHEM® Metal Deactivator and MOLYVAN® Friction Reducer. Our research scientists have been very active in the area of lubricant additive technology. ISP is an independent, privately owned company and operates engine test beds, chassis dynamometers and chemical-physical laboratories for the evaluation of fuels and lubricants. Many years of experience, qualified and motivated teams as well as the modern technical equipment guarantee the quality and the worldwide service, hence fulfilling the requirements of the automotive, mineral oil and chemical industry. ISP is situated in Salzbergen, Germany, and in Grand-Couronne, France. With modern infrastructure and particular know-how in the area of fuels and lubes testing, ISP became the development partner of all major European car manufacturers. Several new engine tests have been developed with the support of ISP experts. Consequently, all standard (ACEA) engine and laboratory tests as well as a wide range of OEM in-house specification tests are available at ISP. Furthermore, Euro 6 emission chassis dynamometers allow emission and fuel economy tests according to international standards. Ergon has been refining the definition of service since 1954. Customers around the world trust our base oils thanks to our quality, consistency and security of supply. As the world’s largest manufacturer of specialty naphthenic oils with a production capacity of 1,200,000 MT/Year, Ergon maintains a network of strategically located terminals, allowing for efficient and secure worldwide supply. With corporate offices in North America, Europe, Singapore and Indonesia, Ergon markets products in more than 90 countries and remains committed to increasing its global presence. Family owned and operated, Ergon is a solution-focused organization, driven by the values of hard work and customer service. Plasmoil's®: Ultra-Lubricity Components World Advanced Lubricity additive To Reduce Friction And Wear. The trend towards highly refined base oils and use of non-ferrous metals, presents a growing need for high lubricity. Plasmoil’s® powerful tribological properties render them essential for those who need to reduce friction and wear. Plasmoil's® are multifunctional, serving to formulate greases, fuels and lubricants, and providing a fatty protective film with a unique combination of high viscosity, low volatility, and high adsorption. Ultra-lubricity. Biodegradable. REACH compliant. NSF-Approved. Excellence assured. A Belgian company with a century old history, Micros-LT, now located in China, is developing, producing and controlling its own products. It serves its dear customers from all over the world.